2 What does it taste like? After every blind request for a “good dry white wine”, there is a good chance Sauvignon Blanc ends up in the glass. Easily one of the most elegant and widely appealing white wines in the world, Sauvignon Blanc also offers great value and everyday drinkability. In our opinion, on a warm summer day there’s hardly a better choice for a refreshing wine to enjoy as you soak in some vitamin D.
Sauvignon Blanc is native to Bordeaux, but actually originated in the Loire Valley. It’s exact lineage is unknown but we do know one of the parents was the grape variety savagnin which hails from nearby Jura. While France might be its home, Sauvignon Blanc thrives in many other regions around the world. While Bordeaux is more well known for their elegant reds, you’ll also find some world class whites there. 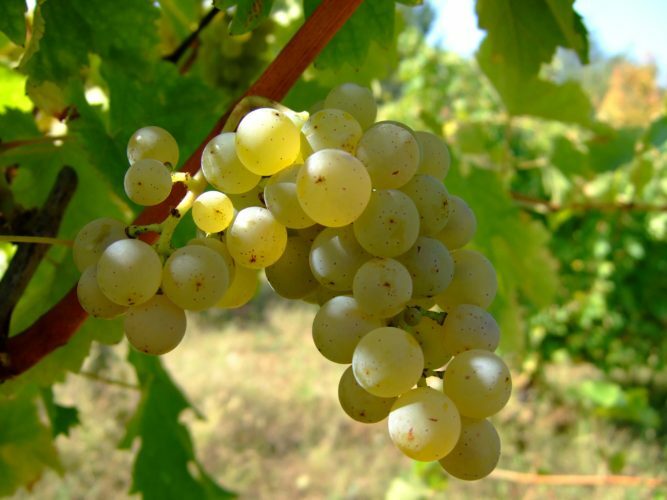 Sauvignon Blanc is the second most widely grown white grape, and is often blended with Semillon and sometimes Muscadelle to make the traditional White Bordeaux blend. The addition of Semillon gives the wine more weight, a slight waxy texture and a nice honeyed note with age. 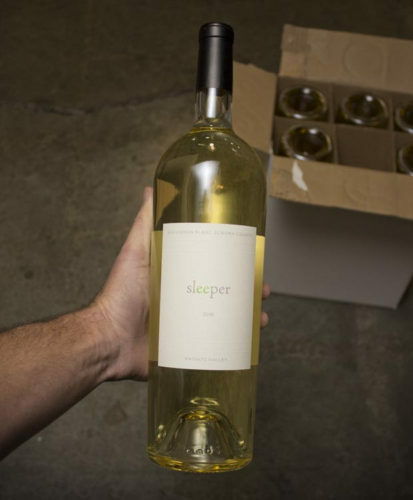 While blending is the norm, you’ll also find some single varietals, in which case it shows off a lighter, crisper style, with tart lemon, yellow grapefruit, and lime flavors. 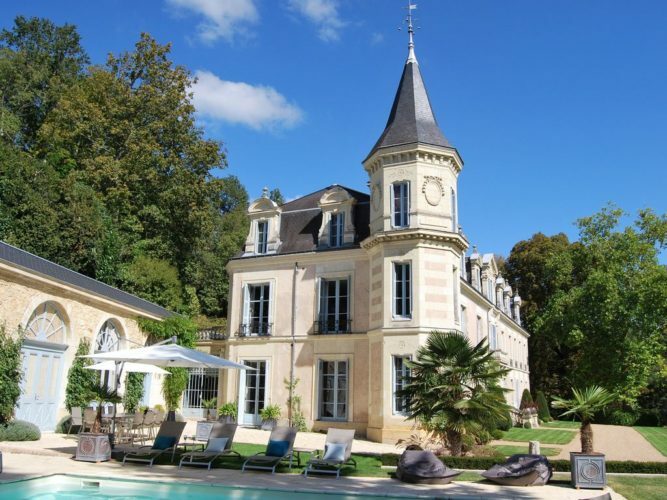 On the East side of the Loire Valley just north of Bordeaux, you’ll find two regions producing what it generally regarded by experts as the most elegant, sophisticated, and treasured examples of Sauvignon Blanc. Loire is filled with majestic castles large and small. The one pictured is a shed by most standards in the area! Sancerre sits on the left side of the Loire river and features unique flinty, limestone riddled, gravely soils. The 100% Sauvignon Blanc from here delivers a spine tingling acidity and unique minerality that channels plenty of tart lemon, green apple, canteloupe and green herbs into the palate. Some of the vines have been there for 50+ years and yield incredibly complex and age worthy wines. Pouilly Fumé sits on the right side of the Loire. Here the soil is a mix of limestone, marl and clay, and they make a different, albeit highly prized style of Sauvignon Blanc. Compared to the leaner, brighter Sancerre, theirs is fuller, slightly riper, and laced with unique smoky notes thanks to the common use of oak during aging. New Zealand has carved out a superstar reputation for more aromatic, fruit-driven and exotic Sauvignon Blanc from Marlborough in the South Island. But if there’s one defining characteristic of New Zealand Sauv Blanc, it has to be the fresh cut grass notes. The warmer climate allows for richer and riper fruit flavors to present themselves. It isn’t so warm that the wines lose their acidity thus keeping them lively and interesting to drink. Of course in America there’s a good chance the Sauvignon Blanc you see in the store comes from California. This grape is incredibly popular in California, where it grows perfectly and delivers a style riper style. Where Sancerre shows tart lemon, California delivers lemon meringue. The warmer climate heightens an ensemble of bright tropical fruit flavors, with pear, sweet melon and peach in the mix. California also gave birth to a style known as Fumé Blanc, created by none other than Robert Mondavi created where the wine spends time in oak. The result brings a fuller body, some smoky and buttery notes, and a creamier texture. An interesting and perhaps lesser known fact is that Sauvignon Blanc is a parent grape to Cabernet Sauvignon. DNA testing in 1997 shows that when crossed with Cabernet Franc, the result is the most famous red grape in the world! Beyond these regions, you’ll find some other great examples from South Africa, Chile, and even the Friuli region in Italy. What’s the weather like in New England? Great one day, terrible the next, hot and cold. That’s sort of what you get with Sauvignon Blanc – a mixed bag. Thanks to its mass proliferation in the marketplace you’ll find some boring and uninspired ones, alongside some truly incredible and complex examples. In general though, Sauvignon Blanc is dry and unoaked, with extraordinarily clean, zesty, bright fruit flavors and moderate to high acidity. Some may have more perceived sweetness while others are more tart. Most are meant to be consumed young, with the exception being Sancerre and Pouilly Fume, which can easily benefit from a few years in the bottle. Expect to find apricot, peach, lemon and lime behind the wheel with green herb aromatics such as thyme, lemongrass and tarragon riding shotgun.